featured an album that was recorded during a difficult period. To be fair to J Dilla, he did die shortly after the release of 2006’s Donuts but he recorded a lot of it from his hospital bed. The man was near to death and suffering from a blood disorder and, with not much time left, determined to record this album. What resulted was staggering and I wonder how the man managed to actually have time to think, let alone make music that is of such a high standard! At some points, he was being led between his hospital bed and instruments. Although Paddy McAloon was not as ill-fated and unwell as J Dilla when he recorded I Trawl the Megahertz; I wonder how he actually got around to recording and making music. I will come to his recent round of publicity regarding the reissue and remastering of the 2003 album but, so long after the heyday of Prefab Sprout, many were not expecting anything new at all. The new edition is credited to Prefab Sprout but, as it was McAloon, essentially, doing this on his own (bar musicians and engineers etc.) the album was credited to him. Certainly, it is not like any other record you’d expect from the man who leads Prefab Sprout! I think many of us have our own favourites and impressions when it comes to Prefab Sprout. To me – I shall wander back onto the straight and focused path soon – I am fascinated by The King of Rock ‘n’ Roll. To me, all Pop music should take the same stand and create something fresh, quirky and utterly fun! I do wonder whether the mainstream has lost its way and should follow Paddy McAloon’s lead! I recall that song being played a lot and first encountered it when on a family holiday. It was playing at a water park (in this country) and I completely fell in love with it! The chorus is among the catchiest ever written and I love its video – complete with someone in a frog costume and a male diver. It is a brilliant track and, although some critics felt it was beneath the best McAloon was capable of, it remains one of Prefab Sprout’s finest songs. A lot changed with Prefab Sprout between 1988’s From Langley Park to Memphis (where The King of Rock ‘n’ Roll was housed) and 2003. I shall come back to the band’s past work later but, in 1999, McAloon was rendered blind for a period. He suffered from detached retinas (a congenital condition) and, understandably, was not able to do too much. Most of us would be panic-stricken and unable to adjust to life without sight. His vision did come back but there was a period when the northern songwriter was pretty much house-bound. It was during this time when McAloon found solace and inspiration in radio plays, transmissions and shortwave radio. Everything from chat shows and call-ins entertained him and, whilst it was possible to listen to the T.V. and get something from it, the radio was a much more suitable medium. McAloon recently provided an interview for BBC’s Newsnight and, looking resplendent in a crimson suit and hat, he is a million miles away from the man we remember from the 1980s. I shall come to that later, too, but I often wonder how McAloon found the focus and energy to record material for a new album as his vision was failing. The material that would make its way onto I Trawl the Megahertz is a big departure from the Prefab Sprout sound. Prefab Sprout traded in these intelligent and unique Pop songs that were very smart but were accessible and popular. They could write something like The King of Rock ‘n’ Roll but also pen something like Desire As (from Steve McQueen, 1985). There was a lot to admire about Prefab Sprout and right at the centre was these incredible songs that won their way into the heart. There is only a bit of McAloon vocal on I Trawl the Megahertz as the remainder is instrumental. Aided by co-producer Calum Malcolm and composer David McGuinness; the album turned out to be a revelation! Not THAT different to what McAloon had written before, it was a little aside from the more radio-friendly sounds many were used to at the start of the Prefab Sprout run. I Trawl the Megahertz contains myriad sounds; there are samples here and there and Classical passages inspired by Claude Debussy and Maurice Ravel. McAloon, Malcolm and McGuinness (there’s a law firm in there somewhere!) translated McAloon’s writing, computer-produced sounds and ideas and integrated them with actual players. The spoken samples we hear on the album are from Yvonne Connors. She performs on the title-track and provides samples for the excellent I’m 49. McAloon does sing on Sleeping Rough but, for the most part, this is almost the work of a Classic composer. Many might seem it odd I compared Paddy McAloon and J Dilla at the top of this piece. Both were very unwell whilst creating but there is a sense of mortality and reflecting on life on both records. I Trawl the Megahertz is very personal and poignant; it has mournfulness but philosophical looks at life and loss. Look at the title cut from the album and the samples and vocals (from Connors) is this unbelievable and highly emotional suite that sort of takes your breath! 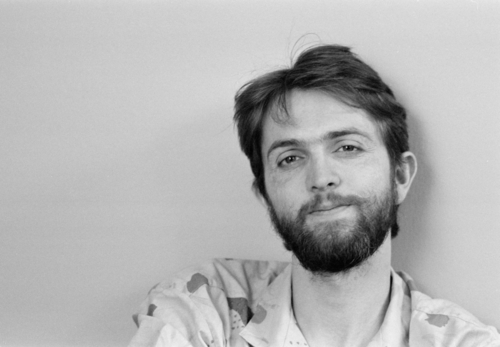 Although McAloon was not using as many snippets and samples as J Dilla did when he recorded Donuts; both were using sound in a unique way and creating work that could be personal and deep whilst bringing together other sounds and effects. Many might feel Prefab Sprout’s records were quite ‘out there’ and on a different plain – that was nothing compared to I Trawl the Megahertz! Paddy McAloon is inspired by artists like Howlin’ Wolf and T.Rex - so it is no shock to hear that he would integrate the odd dose of the eccentric and ambitious into his work. Many assume he was this songwriter that just talked about heartache and the normal sort of things. McAloon was always a cut above the competition and, as early as Prefab Sprout’s debut, proving he was a genius songwriter. McAloon did fear I Trawl the Megahertz would miss the critical spotlight and the record would be seen as this somewhat overlooked thing. The reviews were highly positive and it was clear there was a huge amount of love for McAloon. He had lost none of his gift and passion and, on this rare and wonderful record, showing a new side to himself. The most recent Prefab Sprout record, Crimson/Red, was released in 2013 and is more conventional and story-based. Even though Prefab Sprout included McAloon’s brother Martin alongside Wendy Smith and Neil Conti (there were other various members at different stages); the work McAloon was putting out around 2003 was very much him. McAloon is still in touch with the former members and I know his brother still works with him. It is great we get to see I Trawl the Megahertz rebranded under the Prefab Sprout moniker as it shows McAloon has a lot of love for the group and, too, wants it to spread to a wider audience. 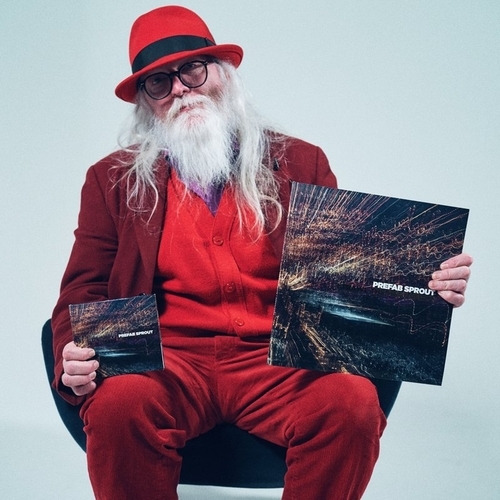 “I Trawl the Megahertz, Paddy McAloon's first solo album, is as likely to perplex and infuriate as it is likely to stun and spellbind. Grand, heavily orchestrated, predominantly instrumental, and not the type of thing you put on prior to going out or when you're in the mood for cleaning the house, the record is incredibly powerful -- almost too powerful -- even when held up against everything from Prefab Sprout's past. The most significant song is the opener; 22 minutes in length, it's nearly elegiac in it its mournful tones played out by a swaying string arrangement and a weeping trumpet. Throughout its duration, Yvonne Connors speaks matter-of-factly -- yet dramatically enough to be poignant -- as she rifles through fragments of her memory, the most disarming of which reads like this: "I said, 'Your daddy loves you very much; he just doesn't want to live with us anymore.'" Of the eight remaining songs, McAloon's voice is present on just one, which doesn't come along until near the end. This song, the particularly autumnal "Sleeping Rough," is almost as emblematic of the album as the opener, expressing a somewhat sorrowful but content coming to grips with the passage of time ("I'll grow a long and silver beard and let it reach my knees"). The album was conceived during and in the wake of McAloon's bout with an illness that temporarily took away his eyesight, but it's plain to hear that his vision remains”. I urge everyone to go out and get I Trawl the Megahertz and enjoy this fantastic creation! If you can get it on vinyl then I think you’ll get the best and most immersive experience possible. I love the fact the album is very different to other Prefab Sprout material and is largely instrumental. McAloon has always been this curious and changing songwriter and, being confined to the house, it was only natural he would explore sound and take a different approach. The title-track is this masterful thing that could have been an album itself and would have sold! You need to listen to the twenty-minute-plus epic and get to grips with all the brilliant sounds and elements that make it so symphonic, emotive and captivating. The nine-track album is a masterpiece and proof McAloon, whatever decade he is creating in, is a step above everyone out there. This takes us to the present. I have mentioned how he has been given interviews and spreading the word regarding I Trawl the Megahertz. McAloon, now, is a very different-looking man to the floppy-fringed imp of the earliest days. His white beard and hair makes him seem prematurely old but I love his look. In some ways it is a way of compensating for poor vision and hearing (he has Meniere's disease). The man may look different but that wonderfully warm and witty voice remains. McAloon was on Mark Radcliffe and Stuart Maconie’s breakfast show on BBC Radio 6 Music this morning and was in fine form. He explained the process of recording I Trawl the Megahertz and discussed some of his influences. He looked back to a time when he met Paul McCartney and was stunned to discover the former Beatle loved The King of Rock ‘n’ Roll. Instead of thank Macca for the compliment, McAloon felt the song was not what he should be writing and wondered if it was the right direction – McAloon, this morning, admitted to the fact he should have just said ‘thanks’ and left it! The interview was fantastic and McAloon was really funny. He was asked, cheekily, whether he would tour the remastered album (McAloon is unable to tour because of his conditions) and McAloon joked he would be doing this big tour and would open with Queen’s Fat Bottomed Girls! It was a really great chat and you can catch it here (the chat is in the final half an hour of the broadcast). It makes me wonder whether we will see more material from Paddy McAloon/Prefab Sprout. McAloon can write and record fine but not the way he used to. It is a different process now but that is not to say we will never hear another album from him. 2013’s Crimson/Red gained great reviews and many said the same thing: McAloon is one of the best songwriters in the world! That is true and, even if he does not release many more albums, we have this incredible catalogue.